If you’re like most homeowners, you’ve probably experienced issues with your HVAC system at some point. Maybe the furnace didn’t get hot enough or the air conditioner froze up. Or maybe your bill was higher than you 1. thought it should be. All of these are important concerns for homeowners. In fact, having the right heating and air conditioning system for your home or business is an important factor to maintain efficiency, keep your utility bill as low as it can be, and give you peace of mind. How do you know if you have the right HVAC unit? 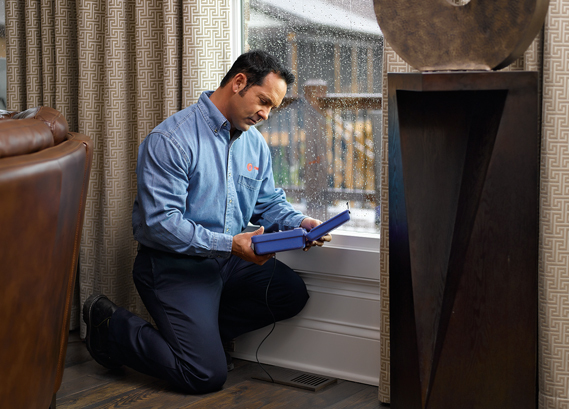 Read on to learn about ways your heating and air conditioning system may be letting you down, and what you can do to fix it. Some people think a large furnace is going to be best for them because they have a big house. 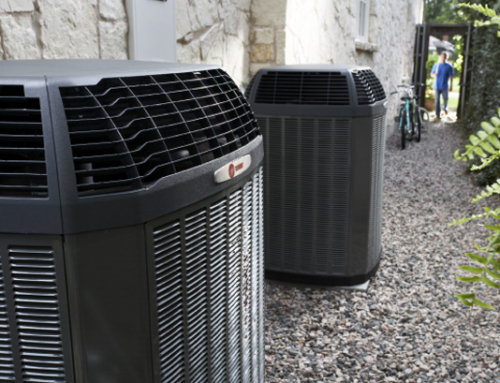 After all, many of us tend to think in terms of “bigger is better.” However, when it comes to your heating and air conditioning equipment, this saying doesn’t hold true. Sometimes a large furnace is not what you need. It may get your home to the desired temperature quicker and turn off faster, but it won’t be long before it kicks back on again. 1. It will increase the wear and tear on your equipment, reducing the life of your system. 2. Your energy consumption will increase, meaning you’ll pay more on your monthly utility bill. Having a properly-sized HVAC system is crucial to keeping your energy costs low. How do you know if you have the right size? A licensed professional can perform a calculation for each room in your house to find out the total heat loss/gain. Based on their findings, they can determine what size furnace you need for optimal efficiency and comfort while minimizing energy costs. Ductwork is the “behind the scenes” passages or conduits that help move the air from the furnace to your home. It’s easy to take ductwork for granted since it’s buried away in the attic, basement, or behind your walls. In most cases, you don’t see ductwork in action, but that doesn’t mean its role isn’t important. Ductwork consists of sheet metal and flexible pieces that fit together. This means that leaks are possible due to holes or poorly connected ducts. In fact, without adequate or properly functioning ductwork, you may lose up to 30 % of your heat or air. To ensure you aren’t paying extra every month because of what’s going on behind the scenes, it’s important to have your ductwork inspected as part of a regular maintenance schedule. If there are gaps, duct sealing is an option that will help eliminate air loss and rising utility bills. Who Run the World? Thermostats. Think of all the heating and air conditioning units in the world. From small apartments to concert arenas, all of these units are controlled by thermostats. The thermostat is one part of the HVAC system with which everyone is familiar. You’ve probably adjusted yours today. But did you know that this little gadget can save you a lot of money on your heating and cooling bill? Some thermostats are programmable, which means you can put your heating and cooling on a schedule. How does this save you money? You can schedule your heat and air usage around the times when you will be home, thus, saving energy when you’re not home. Of course, you can always adjust your thermostat manually before you leave and then again when you get home, but how many of us will remember to do that every day? Besides, then you have to wait a while when you get home for your house to get to a comfortable temperature. 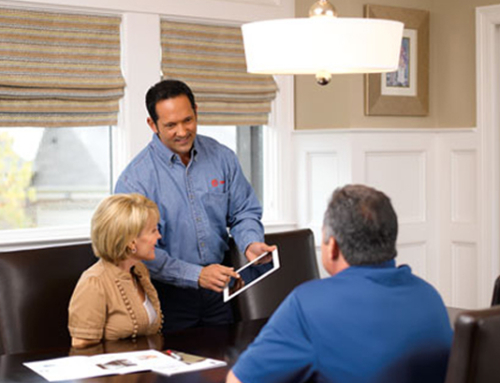 With a programmable thermostat, your home or business is just the way you like it when you arrive. At the same time, it won’t be running all day—or all night in your office—and spending your hard-earned dollars when you’re not there. Bigger is not always better. 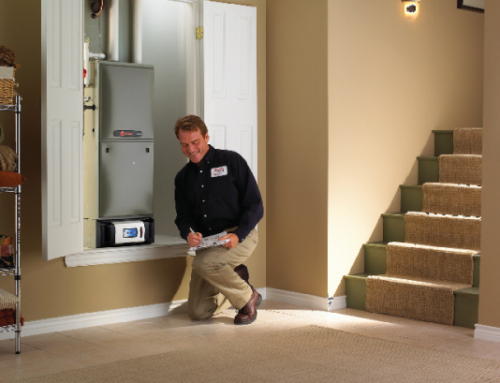 A properly sized system can only be determined after an inspection from a licensed professional. Although you don’t see it, adequate ductwork plays an important part in HVAC system efficiency. Remember to have it inspected regularly, especially if you are noticing your unit is underperforming. A programmable thermostat can give you energy savings that add up over time. If you have questions about ways to save money with an efficient HVAC system, or if you think you may need an inspection, contact us today.